Starting at the front of the car and it is clear that the entire aerodynamic concept of the MP4-30 is miles from last year’s philosophy. This in turn sets up the rest of the car’s aero characteristics, so you can really see just how much effort has gone into this area to regain ground on the others. A similar version of the wing used during practice in Abu Dhabi last year (and subsequently during the post-season test session) is evident, featuring 6 elements at the outboard region to control airflow around the front tyre. The design is a clear Red Bull-copy, which puts emphasis on consistent downforce across a larger range of speeds rather than achieving higher peak downforce levels. This has certainly been McLaren’s achilles heel for a long time and it exacerbates tyre wear during the race – as the car begins to slide more, it becomes difficult to achieve peak downforce which results in yet more sliding and the effect is an exponential drop off in performance. 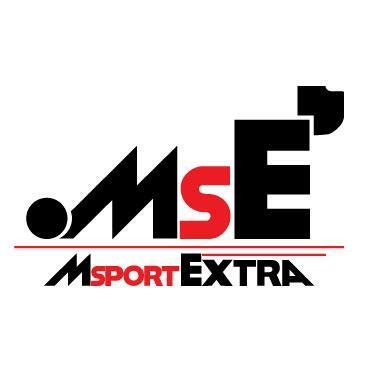 The new aero platform that is being developed under Prodromou should help alleviate these issues whilst developments can be made to the car to provide greater speed in qualifying. Since testing has begun the twin pair of flick-ups that attach to the main cascade winglet have been deleted and some modifications have been made to the trailing edge of the upper flap. The new front wing works in conjunction with a long nose, although a lot of teams have openly admitted that they are more in favour of a shorter design. The longer and lighter nose McLaren have made passes crash tests easier than a shorter, heavier nose does, so it is quicker to whip up a nose for testing and develop a race-ready version for when the season starts. 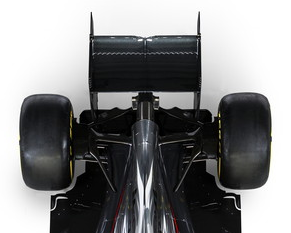 Of course there are advantages in using the long nose other than weight, as it sets up airflow to the Y250 section of the front wing in quite a unique way. Depending on how the team wants to form the vortex from the front wing, along the car and dispersing aft of the sidepods, a long nose may well be more beneficial. The nose is also very wide and flat, meeting the cross sectional area requirements to the limit of what is permitted. By doing so, the wing’s connecting pylons are at a wide stance, forming slightly inwardly twisting vanes to manipulate flow into the leading edge of the splitter. This is a design that they have retained from last year’s car and it’s an area that more teams are latching on to for more performance. Whilst McLaren have been quite conservative in camera pod design, they are one of a few teams who have (allegedly) been asked to re-locate them (or at least make their mounting bracket more “minimal”). They are currently set quite high up the nosecone, sprouting from the top slightly to create a smooth surface for airflow to pass over and around the front bulkhead area. This should change for Melbourne, however. 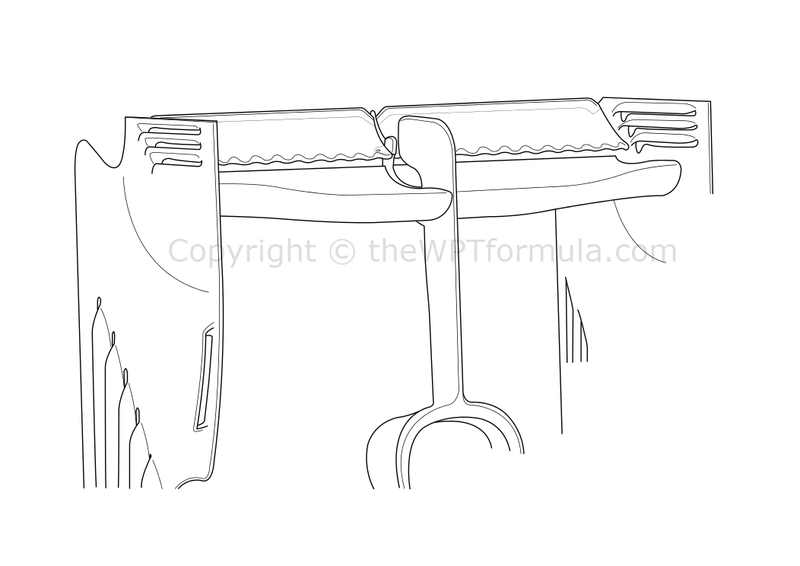 The front suspension remains pushrod in layout for 2015 and the members have been doused with aerodynamically curved, flat vanes to reduce drag and guide airflow safely onto the sidepods. The front brake ducts (not pictured in McLaren’s official launch photos) are a unique design, forming smooth shell-shaped bulbs with a rounded, extended opening to form the inlet scoop. It creates a continous and fluid complexion that eases the transition of airflow passing around the duct and back into freestream flow. This is advantageous as flow management around the front tyre’s turbulent wake is essential for better rear downforce production further downstream. I would expect a number of teams have had a good look at this and could attempt a version of their own come mid-season. Whilst the features at the front of the car are highly interesting, it is around the sidepod area back that things begin to get more intriguing. The sidepod inlets are incredibly narrow, tapering tightly into the Coke-bottle region early to form the ‘size-zero’ bodywork that the team like to point out. So how have they managed to fit all the internals in so well? The answer lies in where they are positioning the radiators. 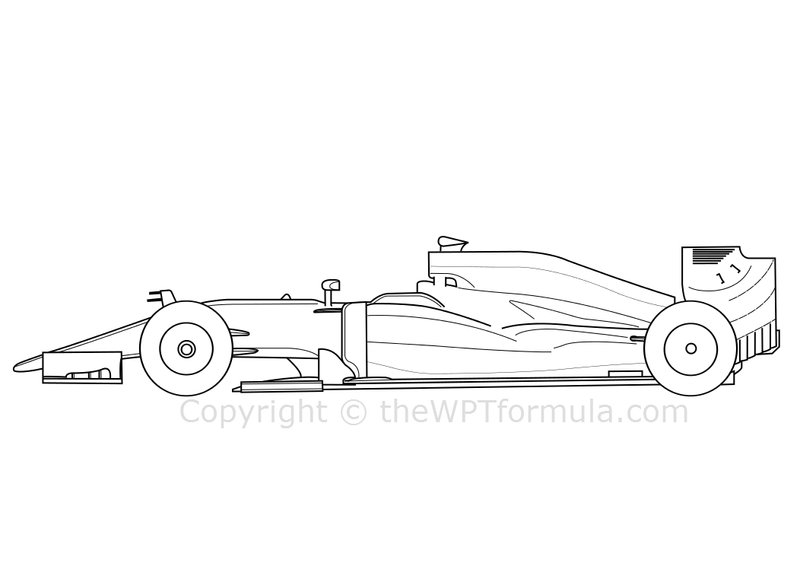 Interestingly, it was only after I drew the car out that I realised just how long the sidepods are in comparison to the rest of the car – the cockpit is pushed forward quite a bit in comparison to, say, the Mercedes. There is instead a sudden drop at the front bulkhead rather than a smooth transition between the top of the chassis and the tip of the nose, suggesting that the driver’s feet are pretty far forward. In order to taper the bodywork so tightly towards the gearbox whilst keeping the sidepod inlets so narrow, the ‘pods need to be longer to be able to still fit in the radiators and main internals. However, even accounting for their extra length there is still nowhere near enough room for everything. 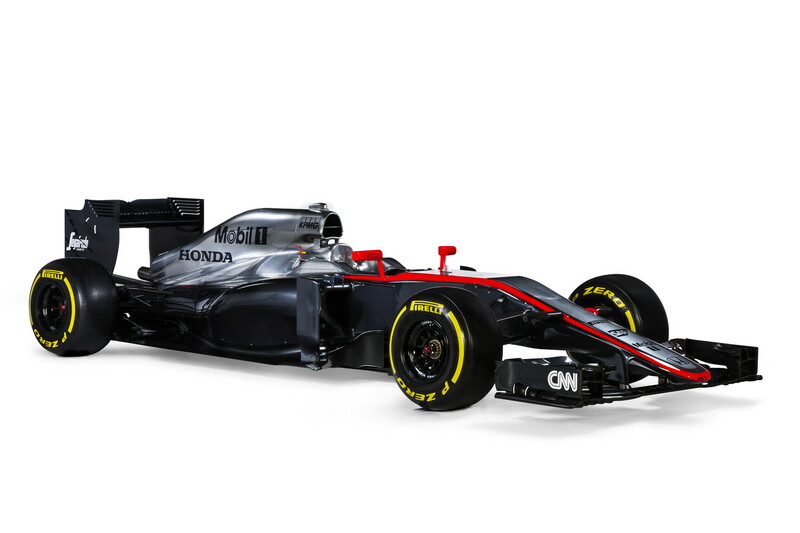 So both McLaren and Honda have come up with a good solution to the problem. The airbox on the MP4-30 is abnormally large and is split in half, feeding an overly thick engine cover – the engine cover is normally thinned to make a shark-fin but McLaren’s is rounded all the way down. At first I was not sure why they would do this until a few photos from Jerez revealed that they are housing one of the main radiators above the power unit tucked in beneath the engine cover. I believe that Honda have gone for a split-turbo across the ICE like Mercedes have done, dividing the compressor and exhaust driven sides of the turbine with the MGU-H along a long shaft. Giorgio Piola seems to think that the turbo is still split by the MGU-H but that the entire assembly is set at the back of the ICE. In my opinion I can’t really see how this can be achieved, especially if we consider what the lower inlet of the airbox is doing. 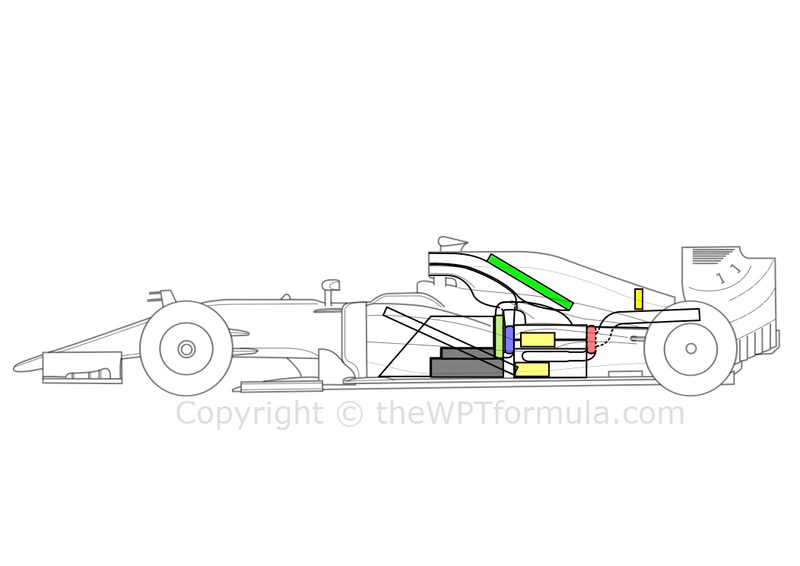 As you can see from the illustration above, the top inlet feeds a radiator (green) and also the gearbox oil cooler (yellow) that sits above the gearbox and exhaust pipe at the back of the car. The lower inlet is for the compressor side of the turbo that sits at the front of the power unit. The air from the compressor is then – like the Mercedes PU – ducted through a water-jacketed intercooler (that sits behind the rear bulkhead of the chassis), through a pair of plenums and into the cylinders. Given that the intercooler is water-to-air and that it lies in close proximity with the top of the car, we can assume that the radiator mounted above the PU is used to cool the water for the jacket. Having a water system at that height above the ground can’t be good for centre of gravity but there must be a clear aerodynamic advantage in doing so. Afterall, this is how they are achieving such small bodywork. Removing the intercooler elements from the sidepods allows the other radiators inside the pods to lie at a steeper angle and further forward in the car, again allowing the bodywork to cut inside earlier than a conventional internal layout. Edit: Scarbs seems to think that the IC is air-to-air and sits in the right sidepod, with the top mounted radiator used as a cooler for the ERS. Towards the rear there are a couple of major tweaks worth mentioning. The rear wing central pylon has been changed from a Y-lon configuration to one that attaches to the spine of the engine cover. This reduces blockage ahead of the central heat outlet for the internals and it’s slightly lighter than last year’s design. Two small slots have been made in the rear wing’s endplate beneath the wing planes, similar in shape to what Red Bull had during the early part of last season. These will help reduce drag at high speed by lowering the pressure gradient at the wing tips, reducing the size of the vortices formed. The rear suspension is interesting because the lower wishbone arms maintain their rearward trajectory from 2014, attaching to the rear crash structure above the diffuser. This leaves the team the option of running their ‘mushroom’ fairings should they want to although Prodromou is firmly against this concept. It is likely that the design for the suspension and crash structure was signed off before his arrival, hence why they are on the car for 2015. The U-bend in the boat-tail of the rear diffuser McLaren ended the 2014 season with is gone and in its place is a conventional, open central section complete with a set of vortex generators along the transition between the flat bottom and the upsloping diffuser wall. 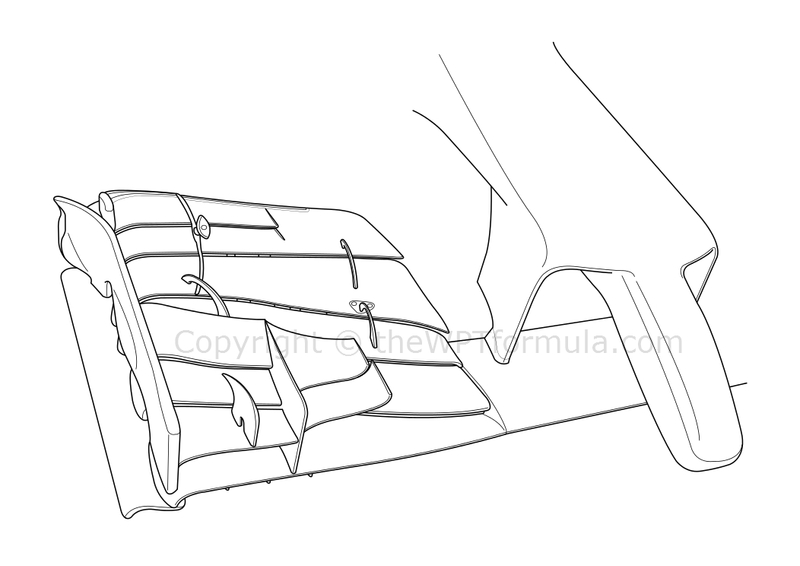 Most teams have these now and their aim is to aid the attachment of flow to the top of the diffuser, increasing the upwash effect at the rear end. Also carried over is the tubercles top flap rear wing, which no other team is yet to copy but remains a good way of increasing the efficiency of the rear wing. Although the Honda power unit has been unreliable so far, rumour is that it is second only to Mercedes in terms of overall power output. McLaren firmly believe they have a strong package for this year should they get on top of these niggles and electronic glitches. It could be a while before we see the partnership blossom but there is no reason why it shouldn’t – they have the right people and the resources to do so. Is this the beginning of the uprising? can you explain what is the concept of “size zero”? what is the difference from any other cars? and what is the advantage to mclaren to push their selves with this concept? Thanks, Abi! “Size zero” is McLaren’s reference to their Coke-bottle section of the car where the sidepods taper into the centre towards the rear. They are just a bit tighter than the other cars, which they seem to be very proud of. The advantage is that it gets cleaner airflow over the top of the diffuser and allows more control of flow along the sidepods. It’s advantageous because it’s less draggy and improves rear downforce a bit, but each car works differently to suit their cooling packaging. It’s a neat design, though, so we might see more of that next year.